When safety against Gas leakage of Gases like LPG, CNG, IPA, Methane, Propane, Butane, Hexane, Alcohols, Hydrogen and various other Combustible Gases is required with budgeting restrictions then Gazchamp-Nano is the only solution. 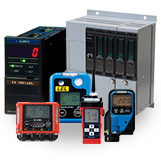 Gazchamp-Nano is economically priced but basic characteristics of a reliable Gas Detection system is not compromised. 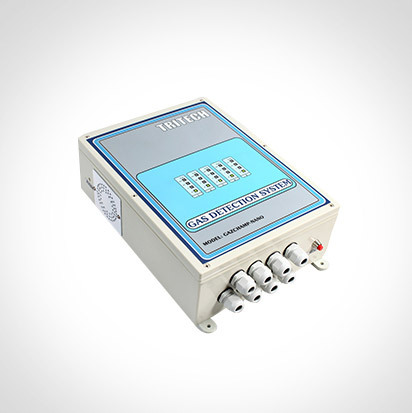 It’s equipped with basic features like Flameproof / Explosion proof Detector, Audio –Visual Alarm, Relay contact for remote signaling or control and on-site calibration. Gazchamp-nano is most suitable for LPG Banks, Fuel storage installations, Commercial Kitchen, Food Chains, Malls, Fivestar Hotels, Resorts and any location that requires protection against Gas leakages. Alarms Two alarm level, factory set at 10% & 50% LEL User adjustable. Output 1 no. Potential free contacts for Alarm 1 or Alarm 2 (factory set) & Common Fault, Contact rated 230 V AC, 2 Amp.